I always look at the head size of people: bigger head moderately correlates to bigger brain: higher IQ. I work at a place where mostly high Socio-economic status people come: one thing in common: massive heads. The old saying “can’t judge a book by it’s cover” may turn out to be false when it comes to men and intellect. Researchers from the Czech Republic have found we have an inbuilt ability to tell how intelligent a man is just by looking at him, but we are unable to perform the same deduction on women. The study, in the journal PLoS One, reports that people tend to associate certain facial traits with high intelligence. Faces that are perceived as highly intelligent are rather prolonged with a broader distance between the eyes, a larger nose, a slight upturn to the corners of the mouth, and a sharper, pointing, less rounded chin. 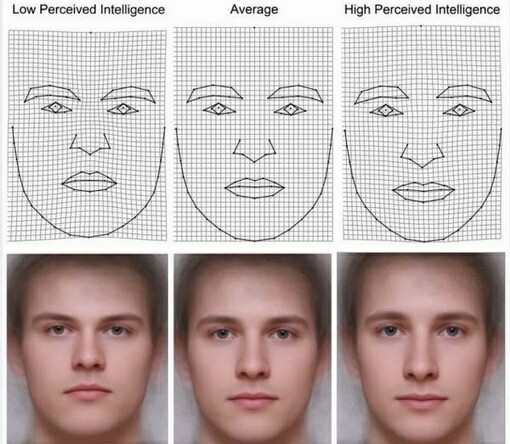 By contrast, the perception of lower intelligence is associated with broader, more rounded faces with eyes closer to each other, a shorter nose, declining corners of the mouth, and a rounded and massive chin. The team used static facial photographs of 40 men and 40 women to IQ test the relationship between measured IQ, perceived intelligence, and facial shape. 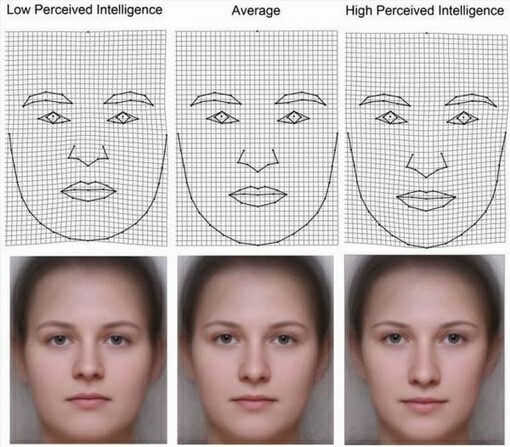 Both men and women were able to accurately evaluate the intelligence of men by viewing facial photographs, they discovered. Now you know how high your IQ is?